The new alliance will be under the patronage of Prof. Dr. Dr. Klaus Töpfer, former Director of the United Nations Environment Programme, who was previously Minister of Environmental Protection and Executive Director of the Institute for Advanced Sustainability Studies (IASS) Potsdam. 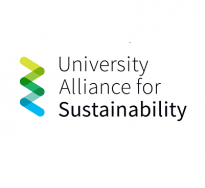 From 2015 onwards, the University Alliance for Sustainability will be funded by the German Academic Exchange Service (DAAD) and use the partners’ complementary strengths to develop joint research and teaching projects, offer exchange options for faculty, staff, and students, and foster inter-institutional learning with regard to management issues. To this end, the partners will develop joint undergraduate and graduate degree programs. Student initiatives will be made available to allow them to network with their counterparts at the other universities. Funding will also be available for research stays for scholars, summer schools for PhD students, “Green Campus” conferences for management personnel, and several study and internship abroad options.